The famous .com is set to receive some competition from a new set of unusual web addresses such as .guru and .singles! Internet users will now be able to register in targeted and specific domains ending in .guru, .bike, .singles, .plumbing and .clothing among others as a US company is offering a wave of new web addresses. Donuts Inc will kick off the general availability period for seven new internet domain names, marking the beginning of a new era for the Internet in which users will have unprecedented choice in how they identify and brand themselves online. The new generic top-level domains (gTLDs) - the first of hundreds Donuts will launch this year - are .bike, .clothing, .guru, .holdings, .plumbing, .singles, and .ventures, the company said. 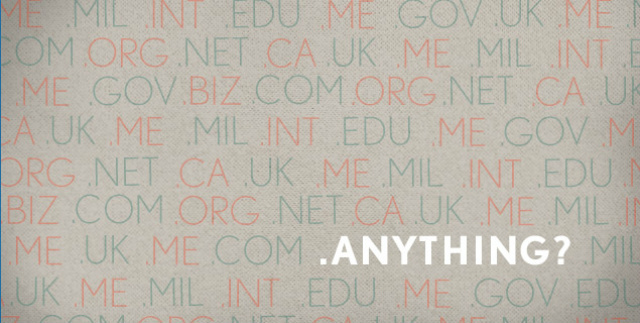 Anyone can register names in these gTLDs on a first come, firstserved basis from accredited registrars worldwide. According to the company on February 5, .camera, .equipment, .estate, .gallery, .graphics, .lighting and .photography will be open for registration by anyone interested in an online identity connected to these terms. "Starting this week, new, relevant and specific Internet naming options will be available on a scale never before seen," Donuts co-founder and CEO Paul Stahura said. This is a unique opportunity for businesses, brands, organisations, and individuals to find an online identity that speaks precisely to their products, services and interests, Stahura said. In addition to this launch, Donuts hit another major milestone when it signed its 105th new gTLD contract with the Internet Corporation for Assigned Names and Numbers ( ICANN). "We have ambitious goals as part of our commitment to leading the development and innovation of the new gTLD marketplace," said company cofounder and Executive Vice President Jonathon Nevett. "Reaching 105 gTLDs under contract is a good landmark, but we won't be satisfied until all of our remaining contracts are completed and all our gTLDs are fully available to the public ," said Nevett.